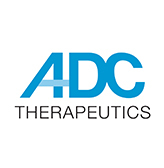 Lausanne, Switzerland, January 16, 2019 – ADC Therapeutics, an oncology drug discovery and development company that specializes in the development of proprietary antibody drug conjugates (ADCs), today announced that the first patient has been dosed in its Phase I clinical trial evaluating the safety, tolerability, pharmacokinetics and anti-tumor activity of ADCT-601 in patients with selected solid tumors that are locally advanced or metastatic. ADCT-601 is an ADC composed of a humanized monoclonal antibody against human AXL, conjugated using GlycoConnect™ site specific conjugation technology to a pyrrolobenzodiazepine (PBD) dimer toxin. In preclinical studies, ADCT-601 demonstrated potent and specific in vitro and in vivo anti-tumor activity in multiple cancer-derived models with different levels of AXL expression, and was stable and well tolerated. The open-label, multicenter, single-arm trial will include a Phase Ia dose-escalation part followed by a Phase Ib dose-expansion part. The dose-escalation part is designed to determine the maximum tolerated dose of ADCT-601. The identified dose will be evaluated in the dose-expansion part. Approximately 75 patients will be enrolled in the trial. For more information, please visit www.clinicaltrials.gov (identifier NCT03700294). ADCT-601 is an antibody drug conjugate (ADC) composed of a humanized monoclonal antibody that binds to human AXL, conjugated using GlycoConnect™ technology to a linker with a pyrrolobenzodiazepine (PBD) dimer toxin. Once bound to an AXL-expressing cell, ADCT-601 is internalized into the cell where enzymes release the PBD-based warhead. The PBD-based warhead has the ability to form highly cytotoxic DNA interstrand cross-links, blocking cell division and ultimately killing the cancer cell. ADCT-601 is being evaluated in a Phase I clinical trial in patients with advanced solid tumors (NCT03700294).